Smiling faces at lunch in the park. Cyclovia - a third of the roads are closed for bicycles only! 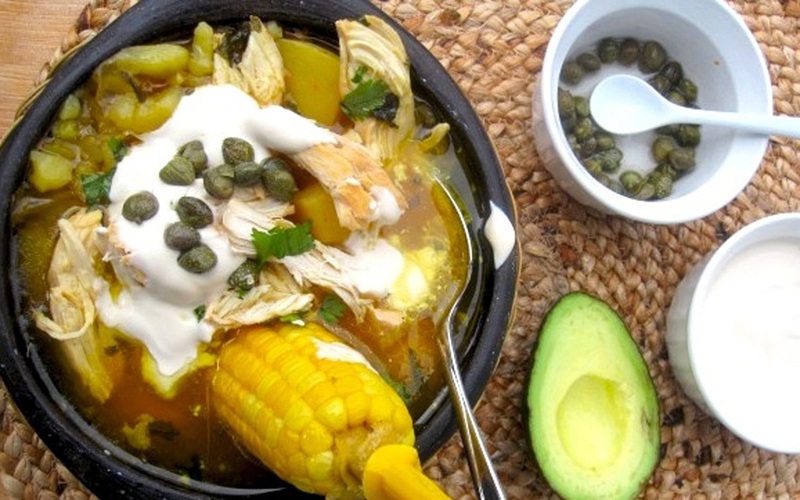 Traditional Ajiaca soup for lunch. 9 days and 8 nights in the beautiful Colombian highlands. Only a short 5 hr direct flight from Newark Liberty Airport. 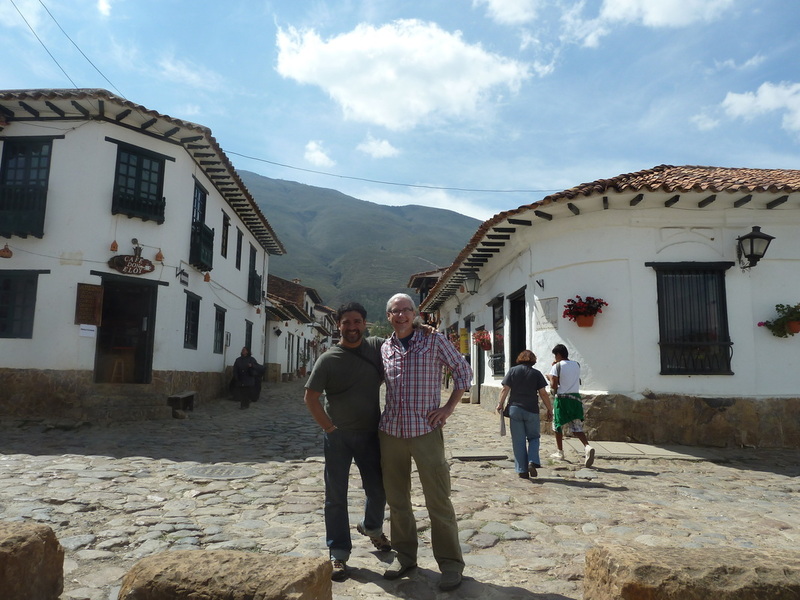 We’ll spend 5 nights in the heart of the historic Candelaria District of Bogota and 3 nights in the UNSECO World Heritage Village of Villa de Leyva, a 450 year old Spanish Colonial town complete with central plaza and cathedral. 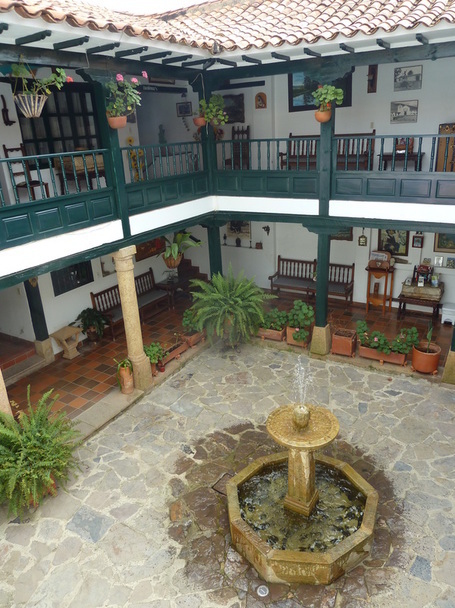 $1499 includes direct airfare from Newark Liberty, 5 nights in the beautifully renovated 3 star Casa Deco Hotel in Bogota, 3 nights in the historic Antonio Narino Hotel in Villa de Leyva, all transfers in Colombia, breakfast daily, pre-departure meeting and the services of our Spanish speaking native Colombian guide, Manuel Fresneda of Terra Cafe in Easton. • While Bogota sits very near the equator, it is 8600 feet above sea level in the Andes mountains, making it comfortably warm, sunny and dry. • And it's in the same time zone as NYC! • January is the best time to visit the highlands. It's the driest and sunniest month of the year when the average daily temperatures is a balmy 70 degrees in Bogota and 74 in Villa de Leyva. • Being up in the mountains means lots of sunshine and low humidity with almost no bugs. 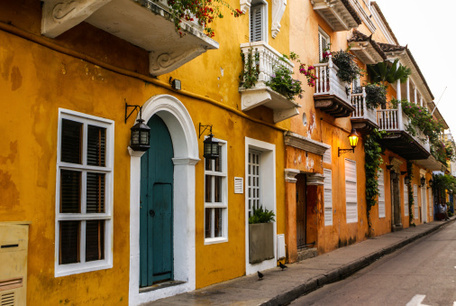 • Colombia is consistently ranked as one of the happiest countries on the planet! Often in the top three. • The food is as varied as it is delicious, with a wide variety of restaurants and cuisines to choose from. • The Gold Museum. The Spanish didn't find it all!. The Botero museum, A national treasure and free to the public. • Bicycle riding in Bogota - miles of roads are closed and the whole city comes out for Cyclovia on Sunday mornings! Fly from Newark to Bogota.. Transfer by private coach from airport to Casa Deco hotel in Candelaria district of Bogota where we will stay for 4 nights. Breakfast served at hotel. Day free at your leisure. 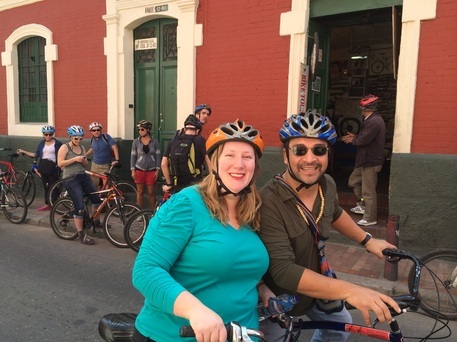 Suggest – Bogota Bike Tours for Ciclovia. Free guided English tour from Plaza de Bolivar everyday at 10am and 2pm. Overnight in the Casa Deco Hotel. Breakfast served at hotel. Day free at your leisure. Optional Day trip to Zipaquira. If you selected this option meet in the hotel lobby. Our coach will depart at 10am. 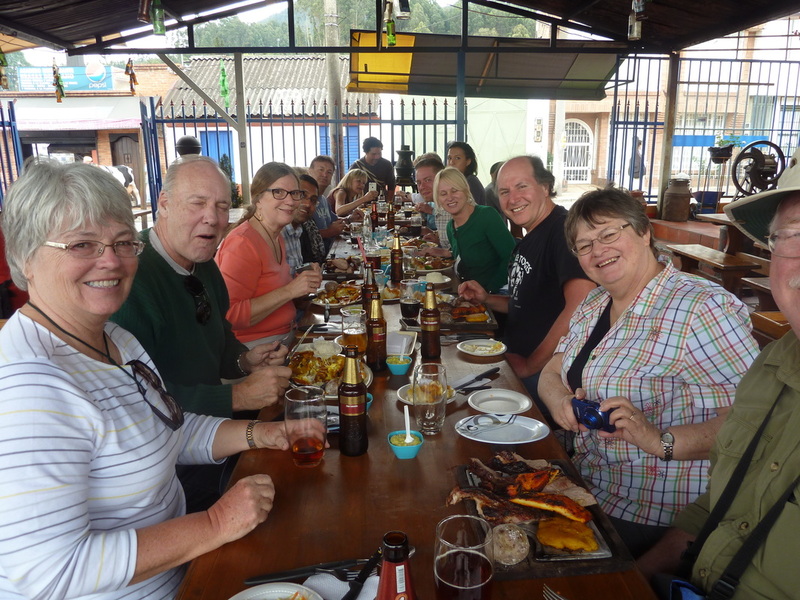 Stop for lunch (not included), stop in the town of Zipaquira and tour the salt mine and underground cathedral. Overnight in the Casa Deco Hotel. Salsa dancing anyone? Breakfast served at hotel. Day free at your leisure. Overnight in the Casa Deco Hotel. Suggest –Free guided English tour from Plaza de Bolivar everyday at 10am and 2pm. - Botero Museum. Gold Museum. Historic city center. Breakfast served at hotel. Meet in hotel lobby Our coach departs 10am for the Antonio Narino Hotel in Villa de Leyva. Afternoon and evening free at your leisure. Overnight in the Antonio Narino Hotel. Day free at your leisure. Overnight in the Antonio Narino Hotel. Suggest – Night time Chiva ride with BBQ, music & bonfire. Day free at your leisure. Overnight in the Antonio Narino Hotel. Suggest – Horseback picnic. Meet in hotel lobby at noon. Our coach departs at noon for our return to Bogota. Stop at the historic Bridge of Boyaca where Simon Bolivar defeated the Spanish to win independence for Colombia. Overnight in the Casa Deco Hotel in Bogota. 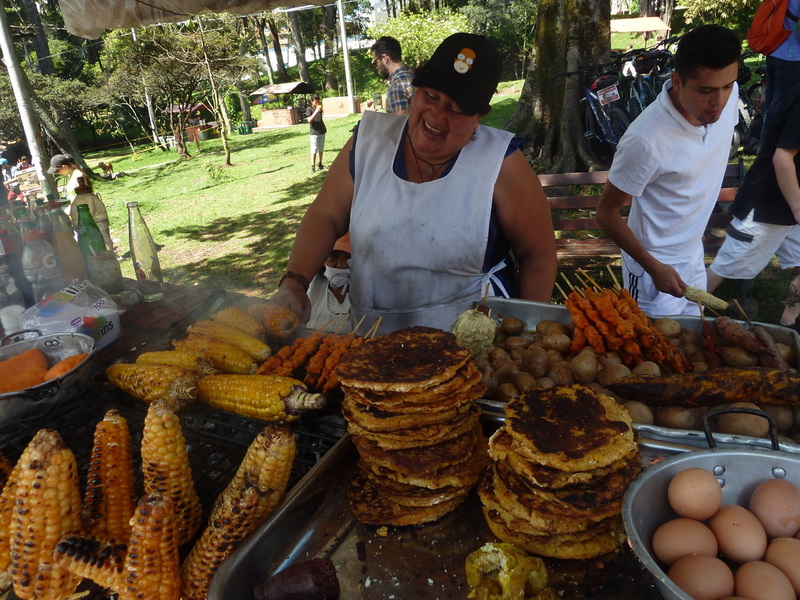 Suggest – Saturday open air market in field uphill behind Cathedral in Villa de Leyva. This is the real deal... not a tourist market. Very cool. Breakfast served at hotel. Meet in lobby. Our coach departs this morning for transfer to airport and flight home.